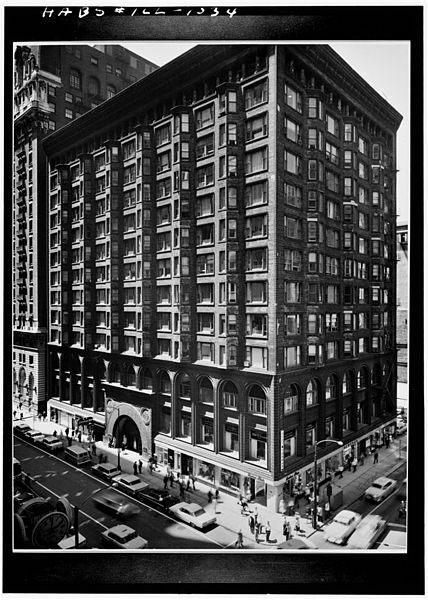 Casualties of history: What notable buildings has Chicago lost? The effort to save the Chicago Stock Exchange from the wrecking ball helped found the preservation movement. University of Chicago student Alice Ye couldn’t help but follow up on the flap over Prentice Women’s Hospital, a building that embroiled a major university, Chicago’s City Hall and preservationists over the past year. If you haven’t paid much attention to the fate of Bertrand Goldberg’s paean to brutalism, here’s the skinny. 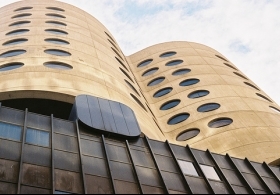 Northwestern University has long maintained it needed to tear down the Prentice building to make way for a top-of-the-line medical research facility. Last year, the Commission on Chicago Landmarks declined to give the building landmark status, but only after it had granted preliminary landmark status during the same meeting. The strange about-face happened days after Mayor Rahm Emanuel gave his blessing to Northwestern. Like Prentice Hospital, what are other historic Chicago buildings that have been demolished and why? It just so happens that WBEZ’s architecture blogger Lee Bey says he’s got time to help out, and will give us a tour of other noteworthy Chicago demolitions during next Wednesday’s broadcast of the Afternoon Shift. But the conversation should start here and now: If you know of a notable (in your opinion or others’) building that has been lost to history, please name and describe that building in the comment section. Here’s one entry to get us started. The original Chicago Stock Exchange has been gone for over 40 years, but chances are you have seen its remnants. Its arched entrance lives on the corner of Columbus and Monroe outside the Art Institute; the original trading room is tucked into the museum’s interior. Designed by Louis Sullivan, along with his partner Dankmar Adler, the exchange, which showcased Sullivan’s flare for ornamentation, was completed in 1894 and torn down less than 100 years later. Mayor Richard J. Daley’s plans to demolish the building in the 1960s sparked a bitter struggle, at a time when little emphasis was placed on architectural preservation. No one did more to trumpet the preservationist cause than photographer Richard Nickel, a Sullivan enthusiast who gained local recognition for traveling the country documenting the Chicago architect’s body of work. Nickel died in 1972 while photographing the Stock Exchange’s destruction.